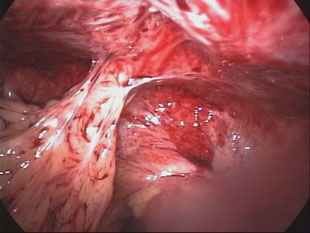 Adhesions are abnormal connections or scar tissue which develop between structures within the abdominal cavity. 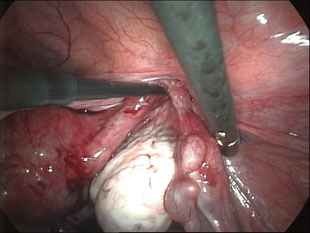 The main causes are surgical procedures, infection, and endometriosis. 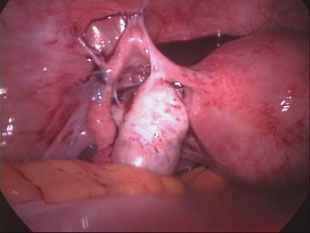 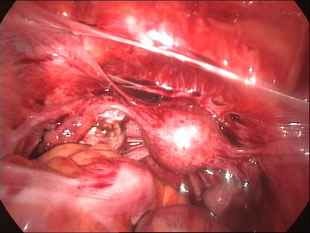 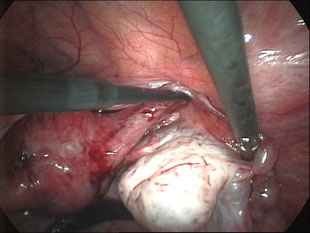 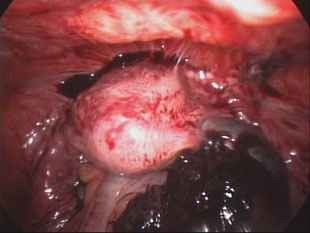 Surgeries with big abdominal incisions (laparotomy) cause more adhesions than procedures performed by laparoscopy. 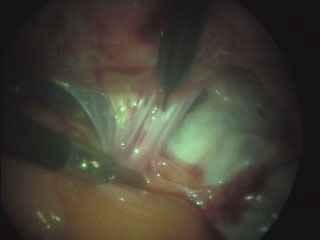 Adhesion formation also varies widely based on the individual patient's propensity towards developing them. 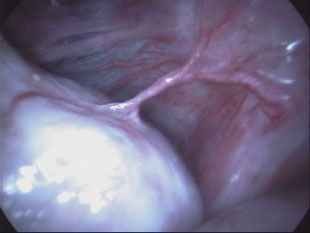 Adhesions can be asymptomatic, or can cause pelvic pain, infertility, or obstruction of the GI tract. 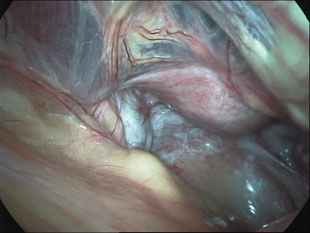 If symptomatic, adhesions can be lysed surgically and anti-adhesion barriers placed on traumatized surfaces, although adhesion reformation can still occur. 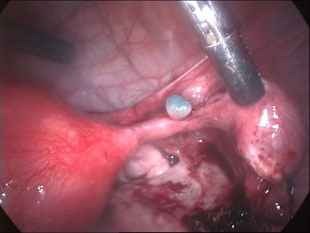 There is currently no procedure, medicine, or device that will prevent adhesion formation 100% of the time.